There was a time when the only type of keyboard you could buy was one with mechanical switches. This was pretty much it for the old AT days of computing. This style of keyboard later extended into the first ATX boards which featured PS/2 connectors (and later USB). This style of keyboard was later replaced by the smaller digital input (also known as capacitive and which was actually designed in the 1970s). These were nothing more than a sponge pad that would press a contact into two trace contacts on a PCB. As these were cheaper to make and boasted the same reliability as the older mechanical switches (which mean one switch per key) it soon became the standard and the older mechanical switch went away… That is until the gaming community resurrected it. Now we have a new generation of keyboards based on the old one-switch-per-key style of manufacturing. We have taken three of these for a stroll around the lab and now have a fourth to tell you about. 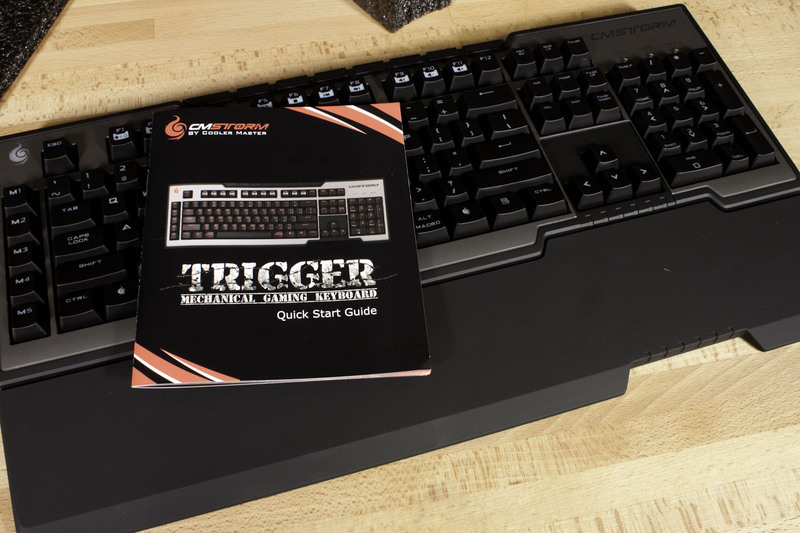 This is the CM Storm Trigger Mechanical Gaming Keyboard. Let’s see if it can stand up to the rest of the pack.